Lavolio create delicious one-of-a-kind handmade confectionery. They are much more than a box of chocolates, using real pieces of fruit, nuts and jellies wrapped in chocolate and spices. Each Lavolio sweet has a delicate sugar-spun shell hand made in the old-fashioned way, making them the perfect indulgent treat or special gift. 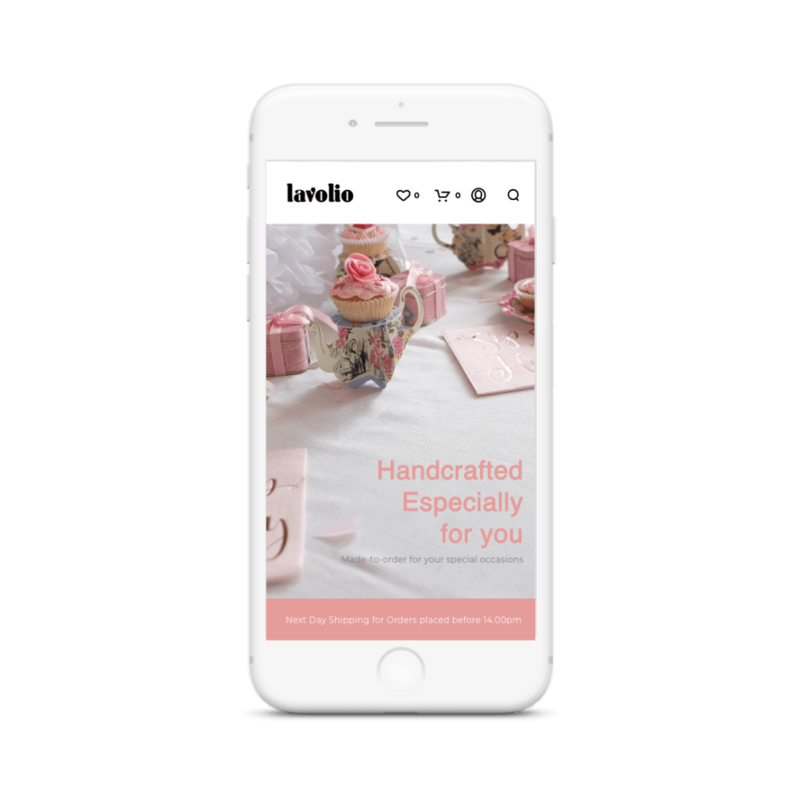 Lavolio sought a website refresh so that their online presence captured the development progress of the company’s vibrant personality and unique take on confectionery. This required thought into which colour schemes and layouts should be chosen so that we would be able to achieve an outcome that would appeal to Lavoliio’s target audience, thereby boosting sales. At the heart of our website design and development was the understanding that it was important that the Lavolio website offered an enjoyable user experience to their customers, in order to encourage purchase and increase brand loyalty. A pink and white colour scheme was selected, as our designers were keen to offer a fresh and sophisticated look for the brand that aligned with their confectionery offering. It was important to make sure that this colour palette fit seamlessly with both the colours of the sweets and the decorative designs of the tin boxes, and this is something that the new website designs sought to achieve. 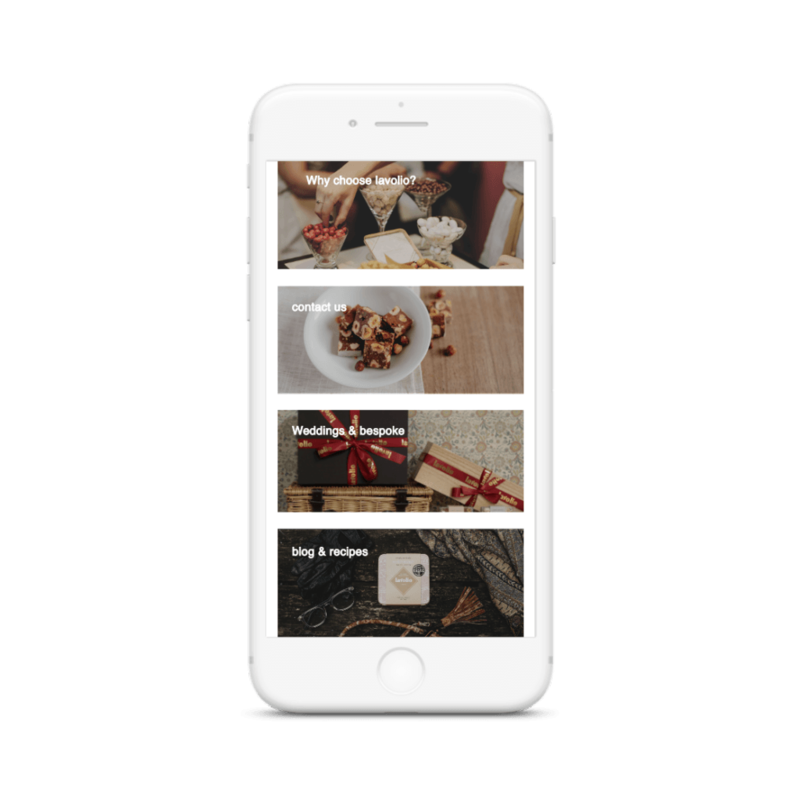 Foundry Digital also worked to ensure that the user’s journey from the moment they enter the website to the moment they purchase Lavolio’s delectable delicacies was as smooth and effortless as possible. Our designers had already achieved an enticing and appealing appearance for the Lavolio website, so we communicated a targeted CRO strategy to our developers so that a consistency across both the visual and functional characteristics of the eCommerce website was realised. Lavolio products have enticing photography and are presented with a simplicity that is attractive yet functional, showcasing Lavolio’s confectionery in a way that aligns with the brand’s identity. The website is very visual and displays these products in a stylish way whilst also capturing the team’s passion for hand-made, bespoke confectionery. 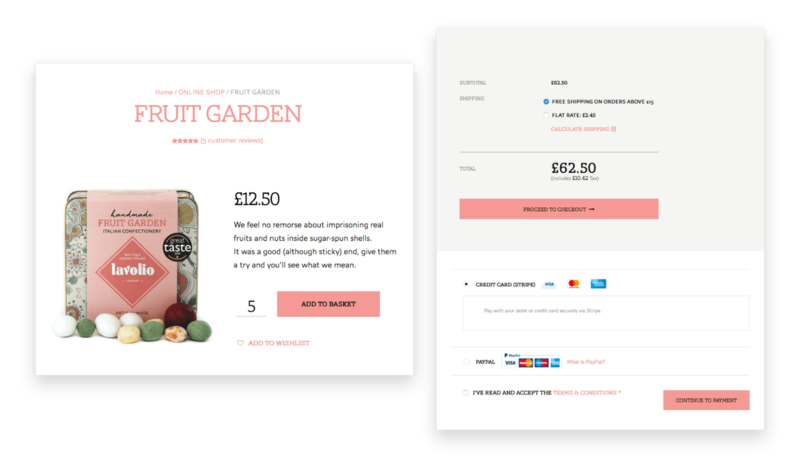 A carousel of images was incorporated into the Home Page so that users would be welcomed to the website by being given a taster of what Lavolio offer, further emphasising the visually enticing character of the website. Our CRO strategy implementation resulted in an improved, smooth user journey that balanced engaging design with strong functionality, providing website visitors with the best experience of the Lavolio brand.